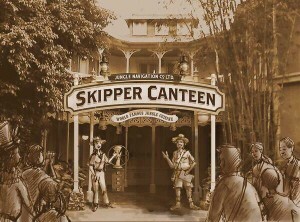 The Jungle Skipper Canteen, the brand new Adventureland table service restaurant, will officially open at the Magic Kingdom on December 16. 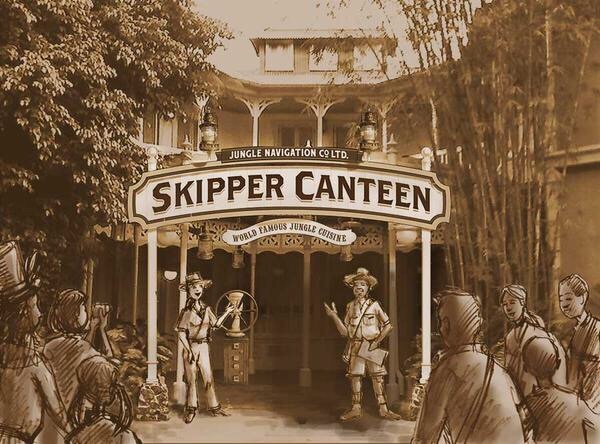 The story behind this restaurant is that the crew of the World Famous Jungle Cruise are here to serve up a side of signature jungle skipper humor with every meal in one of three fantastic dining rooms. The room’s themes include a crew mess hall and a once hidden, secret meeting room of the Society of Explorers and Adventurers. Dishes include grilled steak, head-on shrimp, curried vegetable stew, and a rice noodle bowl. For dessert guests can choose from things like a coconut bar and a dessert called Kungaloosh!, not to be confused with the infamous Kunglaoosh alcoholic beverage formerly served at The Adventurer’s Club. Instead the Kungalooh here is an African-inspired chocolate cake. Themed, non-alcoholic specialty drinks include things such as the Punch Line Punch and Schweitzer Slush. 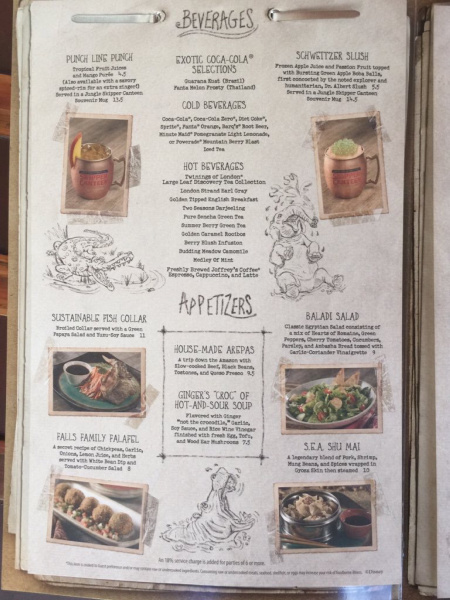 Oh and for those looking for unique souvenir mugs, Jungle Skipper Canteen has a great one! 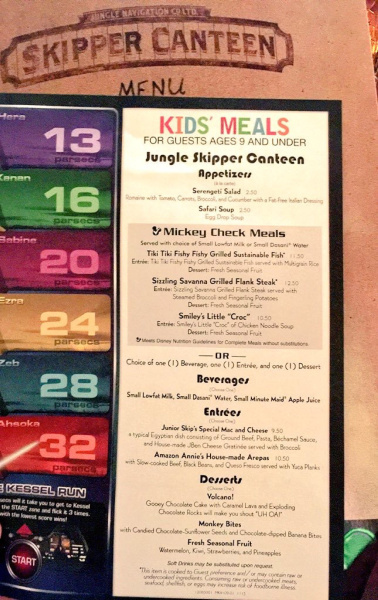 Guests looking to dine at the Jungle Skipper Canteen currently cannot make advanced dining reservations and must visit the restaurant podium to inquire about availability. One would expect that to change within the next few weeks. 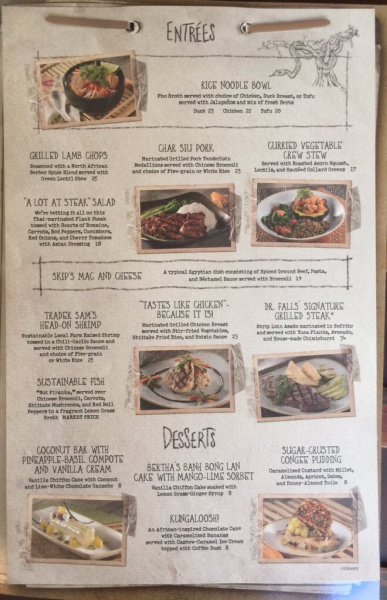 If you would like to get a feel of the new restaurant, make sure to check out this post from Brian.